Bell Telephone Laboratories produced an Anti Aircraft Guided Missile "AAGM" report in 1945. That report outlined the concept of what eventually became the Nike Missile System. The report contained the idea of a two stage supersonic missile which would be guided to its target by ground based radar and computer systems. The Cold War began immediately after World War II. During the first decade of the Cold War, the Soviet Union developed long-range bomber aircraft, capable of reaching targets within the continental United States. The threat of these aircraft became much more serious in 1949 when the Russians exploded their first atomic bomb. 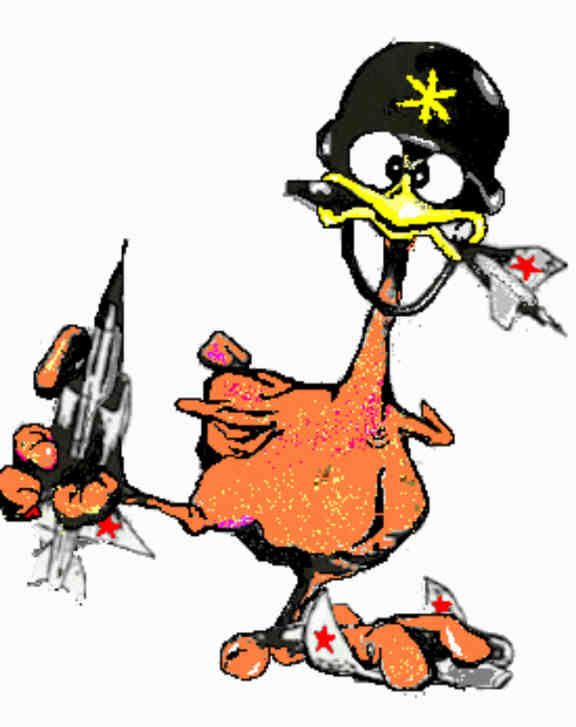 The perception that the Soviet Union might be capable of constructing a fleet of long-range nuclear-armed bomber aircraft capable of reaching the United States caused the United States to develop and deploy the Nike system to defend major U.S. population centers and other vital targets. The outbreak of the Korea war caused a greater urgency for defense of the continental United States. The Nike Missile system within the continental U.S was to be the "last ditch" line of air defense within the United States. The Nike system would have been utilized in the event that the Air Force's long-range fighter-interceptor aircraft failed to destroy attacking bombers at a greater distance from their intended targets. Nike missile sites in the United States were constructed in defensive "rings" surrounding major urban and industrial areas. Some Nike sites protected key Strategic Air Command bases and other sensitive installations, such as the nuclear facilities at Hanford, Washington. Nike missiles were also deployed overseas in Europe (Germany, France, Denmark, Italy, Belgium, Norway, the Netherlands, Greece and Turkey), and in Asia (Japan, South Korea and Taiwan). A typical Nike air defense site consisted of two separate parcels of land. One area was known as the Integrated Fire Control (IFC) Area. This site contained the Nike system's ground-based radar and computer systems designed to detect and track hostile aircraft and to guide the missiles to their targets. The second parcel of land was known as the Launcher Area. At the launcher area, Nike missiles were stored horizontally within heavily constructed underground missile magazines. An elevator brought the Nikes to the surface of the site where they would be manually pushed across steel rails to satellite launchers. The missile was then erected to a near-vertical position for firing. The near-vertical firing position ensured that the missile's booster rocket (lower stage) would land within a booster impact area. Limitations of the guidance system required the two facilities to be separated by a minimum of 3,000 feet. The control areas were constructed on high ground for better radar coverage of the area. The first successful test firing of a Nike missile occurred during 1951. This first Nike missile was later given the name Nike "Ajax". Nike Ajax was a slender, two-stage guided missile powered by a liquid-fueled motor utilizing a combination of inhibited red fuming nitric acid (IRFNA), unsymmetrical dimethyl hydrazine (UDMH) and JP-4 jet petroleum. The Ajax was blasted off of its launcher by means of a solid fuel rocket booster that burned for about 3 seconds. The Ajax missile achieved a maximum speeds of over 1,600-mph and could reach targets at altitudes of up to 70,000 feet. Its range was about 25 miles. The Nike Ajax was armed with three high explosive fragmentation-type warheads located at the front, center and rear of the missile body. Originally designated as "Nike B", the Nike "Hercules" was a far more capable missile. With a maximum range of about 90 miles, maximum speeds in excess of 2,700 mph, and the ability to reach targets at altitudes of up to 150,000 feet, the Nike Hercules was a highly potent air defense weapon. The Hercules missile lacked most of the complex, miniaturized vacuum tubes utilized by the Ajax missile. The solid rocket fuel in its "sustainer" motor made the missile both easier and safer to handle than the Ajax, which used highly caustic liquid fuel components. The Hercules missile was designed from the outset to carry a nuclear warhead. The Hercules nuclear warhead was available in three different yields: low yield (3-Kiloton), medium yield (20-Kiloton) and high yield (30-Kiloton). A Kiloton (kt) represents the explosive force of 1,000 tons of TNT. The atomic bomb dropped on Hiroshima, Japan, near the end of the Second World War had a yield of approximately 15 Kilotons. The Hercules missile could also be armed with a high explosive warhead. With a nuclear warhead a single Nike Hercules missile was capable of destroying a closely spaced formation of several attacking aircraft. Defending against mass formations of aircraft was not the only reason for deploying atomic warheads on the Hercules missiles. The atomic capability provided the ability to destroy or disable nuclear weapons carried aboard an aircraft, to ensure that there would be no nuclear detonation of these devices. More sophisticated radar and guidance systems were also part of the Nike Hercules "package". These made the Hercules system more accurate and effective at longer ranges. During the early sixties, an "Improved" version of the Nike Hercules missile system, utilizing ABAR (Alternate Battery Acquisition Radar) or HIPAR (High Power Acquisition Radar) was deployed. The improved radar capabilities and other advanced electronic features of the Improved Nike Hercules system made it more effective against small, supersonic targets including aircraft and aircraft launched "stand-off" or "cruise" missiles. A variant of the system provided a limited capability to defend against tactical ballistic missiles. The Hercules missile could also be used in a surface-to-surface mode. In this role, the Hercules would have been used to deliver tactical nuclear warheads to destroy concentrations of enemy troops and armored vehicles, or bridges, dams and other significant targets from bases and field deployments located primarily within Western Europe. This surface capability might also have proven useful in other areas where the Hercules missile was deployed including South Korea, Taiwan, and Turkey. The potential use of Hercules missiles against ships or submarines from coastal sites in the continental United States also appears to have been considered. Maximum range of the Hercules missile in the surface-to-surface mode was 114 miles, and was limited by the effective transmission range of the Missile Tracking Radar (MTR). Mobile Nike Hercules batteries increased the flexibility and usefulness of this system. Trucks and trailers were used to transport Nike Hercules system components to the desired field locations. In this mode, a single missile was mounted upon a truck-drawn trailer/launcher unit, which also served as a firing platform. The Nike missile was guided entirely from the ground, from firing to warhead detonation. The electronic "eyes" (radar) and "brain" (computer) of the Nike system were located on the ground, within the Integrated Fire Control or IFC Area. Within the IFC area, hostile aircraft were first identified by means of acquisition radar. This rotating, search-type radar enabled the missile battery to detect aircraft and to positively identity friendly or hostile aircraft by means of electronic signals generated by either IFF ("Identification Friend or Foe") or SIF ("Selective Identification Feature") equipment. Target information would normally have been derived from regional Army air defense control centers. These facilities received information about incoming hostile aircraft from the Air Force's nationwide air defense radar network. The regional control centers determined which aerial targets were to be fired on by individual Nike missile batteries. The advent of the Air Force's partly-automated, nationwide SAGE (Semi Automatic Ground Environment) air defense network and the deployment of the Army's own Missile Master system (and similar, follow-on fire distribution systems), enabled faster and more accurate coordination within this Cold War era system of air defenses. Having acquired and positively identified a hostile aircraft, a second radar, the Target Tracking Radar (TTR) would be aimed at and electronically locked onto it. This radar would then follow the selected aircraft's every move in spite of any evasive action taken by its pilot. A third radar, the Missile Tracking Radar (MTR) was then aimed at and electronically locked onto an individual Nike missile located at the nearby Launcher Area. 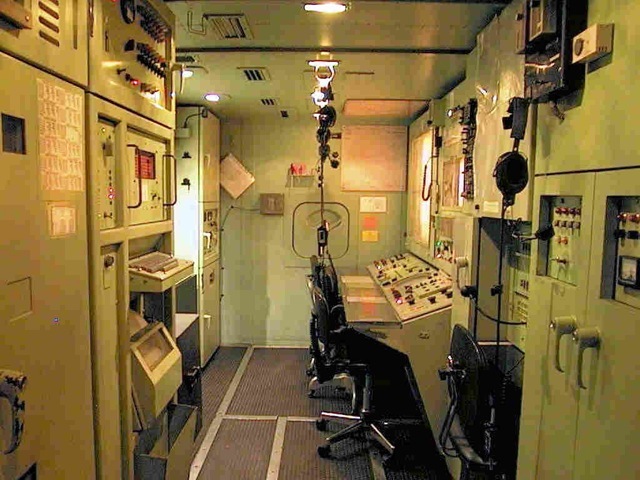 Both the TTR and MTR were linked to a guidance computer located within the Battery Control Trailer at the IFC Area. This analog computer continuously compared the relative positions of both the target aircraft and the missile during its flight and determined the best course the missile would have to fly in order to reach its intended target. Steering commands were computed and sent from the ground to the missile during its flight, via the Missile Tracking Radar. At the moment of closest approach the missile's warhead would be detonated by a computer generated "burst command" sent from the ground via the MTR. For surface-to-surface shots, the coordinates of the target were dialed into the computer and the height of burst was set by crewmembers at the Launcher Area. The standard technique was for the missile's guidance signal to be terminated as it dove vertically onto its target. Detonation of the warhead was via the pre-set barometric fusing. Alternately (and presumably as a back-up system) the warhead could be exploded via contact fusing when it impacted the selected target or target area. This is a view into the Nike Control Center. You see the chairs for the various positions manned during operations and the headsets used for communications by those manning the positions. The article below continues on another page. There is a link at the bottom of the article to take you to the next page.